Chaga mushroom (Inonotus obliquus), often referred to as the “king of medicinal mushrooms”, looks like a dark black woody mass rather than a mushroom and, in fact, you probably wouldn’t even recognize it as a mycelium species when walking through the forest. However, this unusual looking variety is one of the most powerful adaptogens and superfoods on the planet, exhibiting immune supporting complex polysaccharides that are considerably more potent than most any other medicinal mushroom. In addition to sterols, polyphenols and polysaccharides, the mushroom also contains a host of other superhealthy antioxidant constituents including melanin and superoxide dismutase as well as triterpenes, like betulin, inotodiol and lupeol. Furthermore, it is also gaining recognition around the world for its ability to help inhibit tumor growth via certain anti-mutagenic compounds like betulinic acid which it concentrates in high amounts from birch bark. 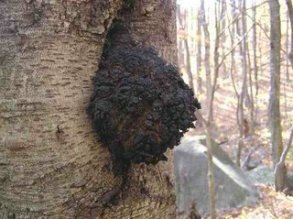 What is Chaga and Where Does It Grow? The Inonotus obliquus species is classified as a “white-rot fungus”, like other medicinal mushrooms such as maitake, coriolus and reishi. This means that it feeds off of the lignins in the tree host but does not necessarily damage the primary cellulose or integral composition of the tree. There are debatable theories, however, about its natural life cycle and whether it is protecting the health of the tree as a endophytic mushroom or whether it will eventually act as a parasite over a period of time and hinder the host’s growth. The tree of choice for Inonotus obliquus is the white and yellow birch tree, although it may also grow on other hardwoods like alder, elm and beech trees. The mushroom used exclusively for medicinal use, usually comes from the birch tree only. Higher quality mushroom harvests are usually wildcrafted from birch tree forests growing in Eastern Europe and Northern Russia, especially Siberia. It is a polypore mushroom (with pores instead of gills) that grows in cold, Northern climates and produces a thick black mass on the side of tree trunks, often referred to as a “conk.” They usually grow up to 10cm thick and 1.5 meters in length or much longer depending on the age. While the exterior of the mushroom looks like burnt black charcoal, when split open it has a deep clay orange cork-like center. The mushroom has actually been used as a long burning firewood source as well as a clothing dye in many parts of the world. This black tree fungus has long been respected in Northern Europe, Canada, China, Finland and Russia for its immune boosting qualities. 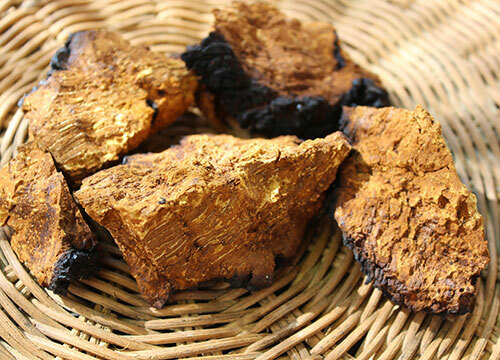 Chaga mushroom tea has played a significant role in Russian herbalism and Siberian folk medicine for hundreds, if not thousands of years, particularly for its ability to help humans adapt to cold harsh climates. In Traditional Chinese Medicine it was used as a special mushroom for balancing “Chi”, preserving youth and maintaining a strong immune response. Today it is also considered a Chi, kidney and Shen tonic in Asian culture. The fungi became popular here in the West in 1968 when the Russian novelist Aleksandr Solzhenitsyn published the book, “The Cancer Ward”, in which he speaks about “the tea from the birch tree mushroom”, its healing components and potential benefits to cancer patients. There is an exceptional amount of immune boosting antioxidants found in Inonotus obliquus such as beta glucans and betulinic acid, in addition to various other triterpenes and sterols as well as melanin and superoxide dismutase (SOD). The mushroom draws upon and concentrates nutrients out of the birch tree lignins and bark, converting them into a form that is easily digested by humans. One of these nutrients is a triterpene called betulin, which it absorbs specifically from the bark and further converts to betulinic acid. This is one of the active compounds and tumor inhibiting components that is inherent to the chaga mushroom species. Along with coriolus (turkey tail mushroom) and cordyceps, it is viewed by many mycologists and health experts as one of the strongest antitumor mushrooms available. Betulinic acid induces apoptosis (PCD) through its direct effects on the mitochondria and once inside the cancer cells is believed to influence cell death within the tumor itself. Other research coming from Poland suggests that the betulinic acid is also activated by and drawn to the lower pH of the tumorous tissues. 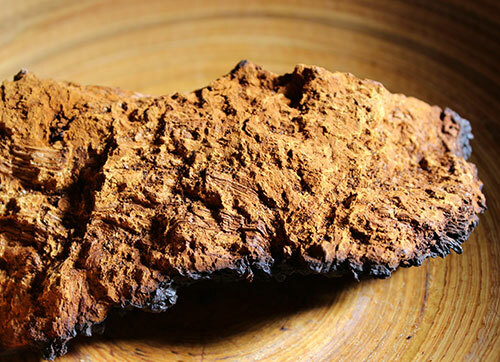 According to Christopher Hobbs, extracts of chaga were approved as an anticancer drug, called Befungin, in Russia as early as 1955 and has been reported successful in treating breast, lung, cervical and stomach cancers (Hobbs 1995). Mushroom mycologist Paul Stamets writes that the betulin concentrations in Inonotus obliquus have shown promise in treating malignant melanoma, completely inhibiting tumors implanted in mice, causing apoptosis of cancerous cells. The extracts are also beneficial as an antiviral, antibacterial and anti-inflammatory. In addition, they are a known immune enhancer as well as a liver tonic (Stamets 2005). In addition to a full spectrum of phytonutrients, chaga mushroom also contains 29 long-chain polysaccharides, protein-bound xylogalactoglucans and beta glucan derivatives. The beta glucans in chaga, especially 1-3 ß-glucans, help to activate our immune cells or macrophage defense systems, working on both the surface immune system as well as stimulating stem cells deep within the bone marrow reserve. 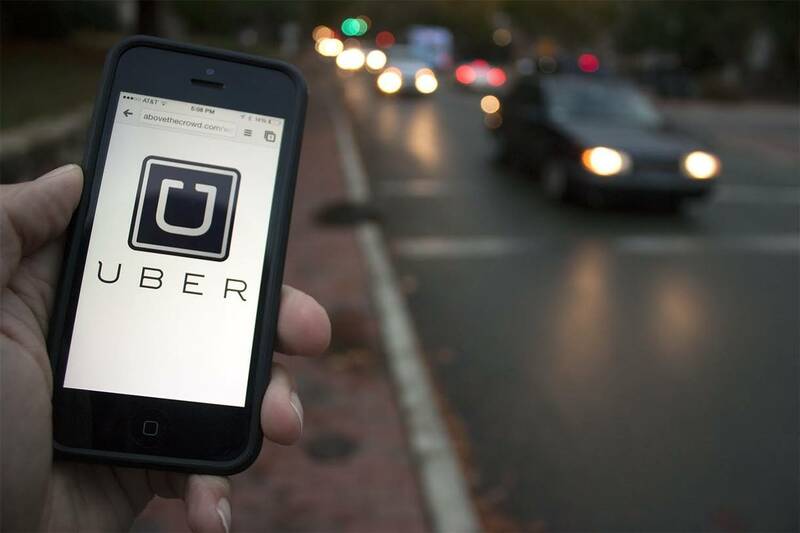 This further “supercharges” and activates various other immune cells such as natural killer cells (NK cells) and T cells. Some medicinal mushrooms, like reishi and chaga, can be particularly supportive adjuncts to chemo and radiation therapies. Chaga’s triterpene lupeol and the sterol trametenolic acid not only display antiviral and antitumor activity but also chemoprotective qualities that may be helpful when undergoing chemotherapy treatments. Additionally, betulin in chaga is known to help detoxify the liver and protect against the potentially damaging effects of radiation or chemo chemicals. Also, the high amount of antioxidants, including melanin (which binds to radioactive isotopes), are particularly helpful for rejuvenating healthy immune responses. Melanin is a phenolic pigment and potent antioxidant found in the surface layer of the mushroom and is the chief ingredient responsible for its distinctive coloration. 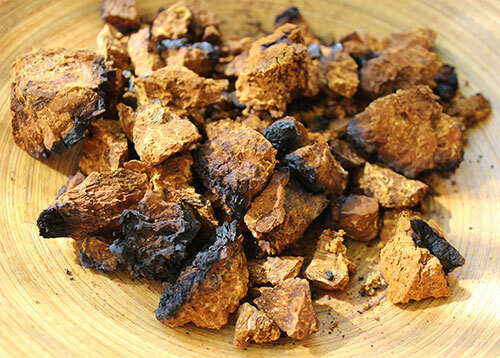 Chaga is one of the highest sources of melanin known in any food or herb. 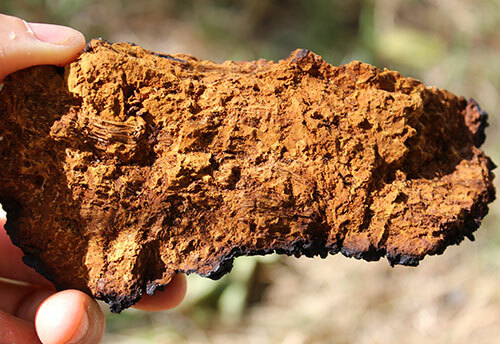 It has been demonstrated that chaga’s melanin has a strong genoprotective (DNA/gene protective) effect on the body. This is the same compound that makes up the main pigment in human skin, the retina of the eye and the pigment-bearing neurons within the brain stem. 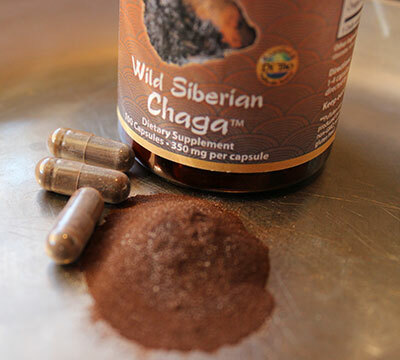 According to David Wolfe, “Having a nutritional source of melanin such as chaga lightens the body’s load of nutrient-demanding processes involved in melanogenesis (formation of melanin).” Melanin supplementation via chaga consumption can enhance, beautify and protect the skin from sun damage and is additionally beneficial for the eyes and hair. The melanin found in the mushroom may help those with white blotches that sometimes appear on the skin as we age. This may indicate a disrupted melanin distribution possibly caused by factors such as stress, viral issues, genetics and/or nutritional deficiencies. Moreover, consuming beta glucan-rich polysaccharides are known to help nourish, hydrate and heal the skin tissue. Superoxide dismutase, also called SOD, is a natural antioxidant enzyme produced within the body that plays a significant role as a free radical scavenger. It acts as a “bodyguard” that essentially protects against DNA damage and helps to reduce the work load placed on the immune system. Certain superfoods, like fo-ti root, increase SOD levels when consumed and chaga is one of the highest sources of this nutrient, offered in an easily utilized bio-available form. Chaga is an immune modulator and “double-directional” adaptogen that powerfully balances immune response and helps the body maintain optimal homeostasis. It is on our top superfoods list as the #1 super mushroom for autoimmune disorders, a seemingly common health issue in our modern times. 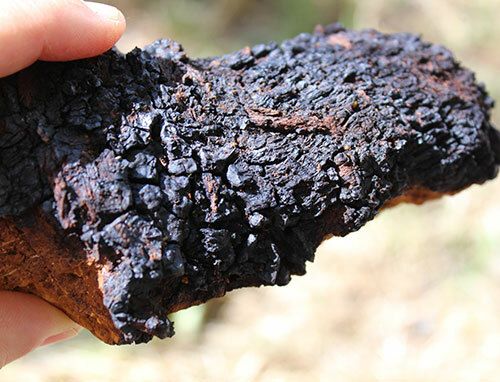 Fresh chaga can be used and decocted straight off the tree, but it is often dried first to remove any moisture content. It can be grated or broken into smaller pieces and/or powdered in a high speed blender. It is generally believed that the older the mushroom the more medicinal it is when we consume as prepared liquids and extracts. When harvesting fresh “conks” the larger the fungi, the older mushroom. 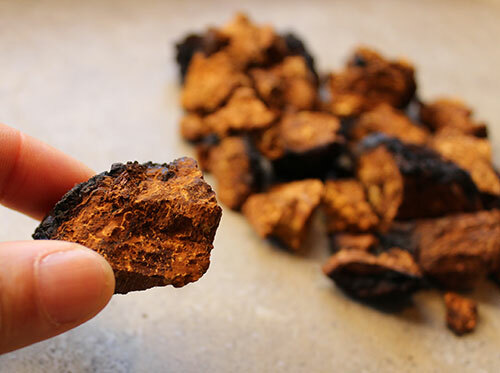 If you don’t happen to live by a wild chaga forest, some herb companies sell pure dried bulk chaga pieces or powder that can be further decocted or tinctured to release their beneficial components. Most all of chaga’s antioxidants and polysaccharides are only extractable in hot water and alcohol solutions. 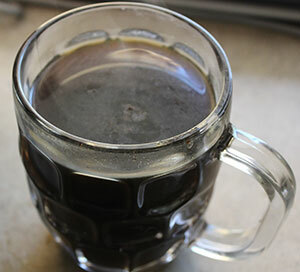 Bulk chaga pieces can be brewed for many hours in water as a dark rich mushroom tea. Additionally, the chunks can also be tinctured in vodka for a few weeks. 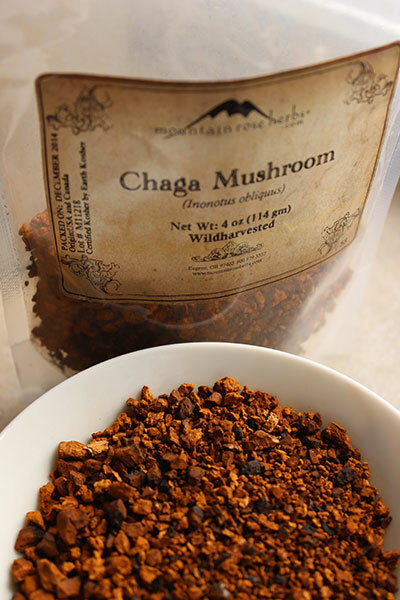 Another chaga tea making method is to simply add the powdered extracts to hot water. The extract powder turns the water a dark brown color that looks similar to a cup of coffee. In fact, because of its slightly bitter nature it is often used as a alternative coffee substitute. Another medicinally effective way to use this mushroom is to consume high quality hot water extracts. Mushroom Science is an excellent brand that offers a tested potent extraction of chaga, by far one of the best on the market. Dragon herbs also has a superior grade of Wild Siberian Chaga that is harvested in the pristine black birch forests in the Kama River Basin of arctic Siberia. These extracts usually come in capsule form that can be taken whole or opened and blended with shakes or herbal teas. The dried mushroom or extract is especially great to use with other adaptogens like any of the Chinese tonics and/or Ayurvedic herbs. Packed with adaptogens, this recipe is one our favorites because it has that coffee like flavor so many people enjoy, but without the eventual adrenal burn out that leaves you feeling depleted. In other words this “java” does not superficially stimulate the body, instead it works to increase “real” energy by building “chi”, strengthening the internal systems and nourishing life-force. Decoct (simmer) the above in a little more than one quart of water for 20-30 minutes. Add nut milk cream if you prefer. Serves two or more.